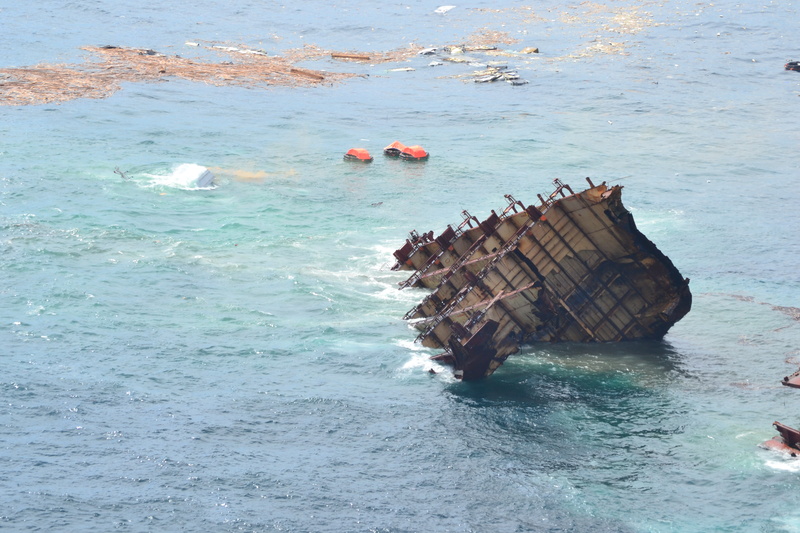 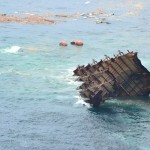 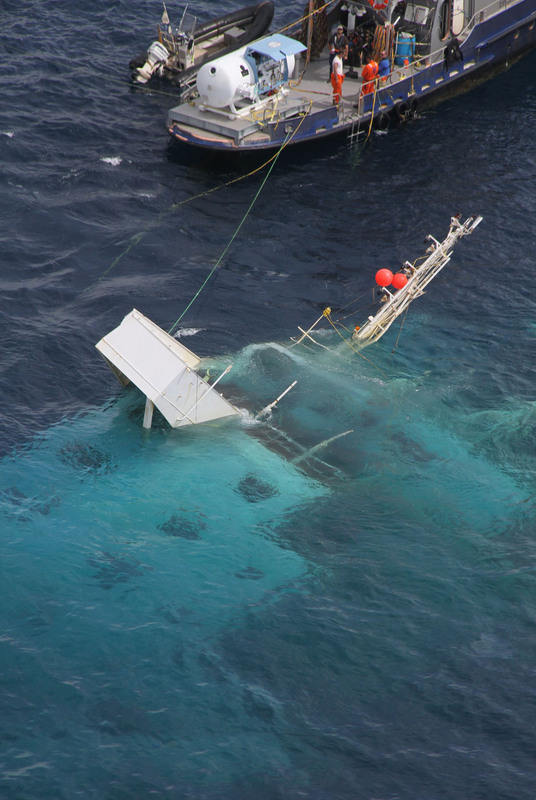 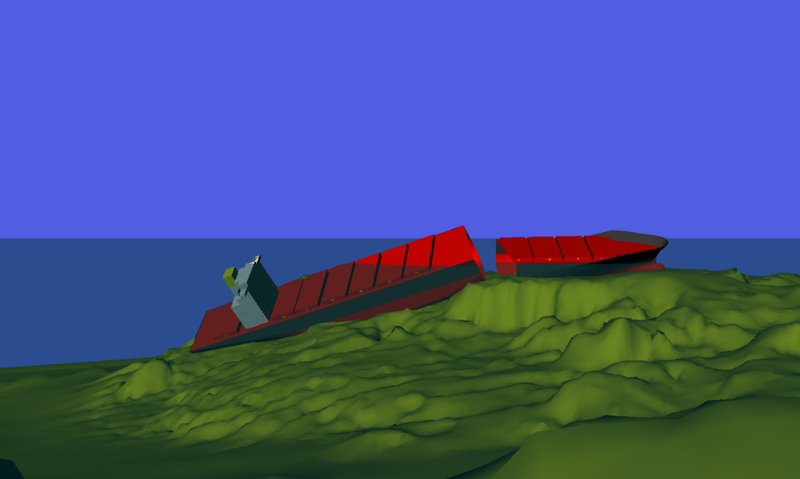 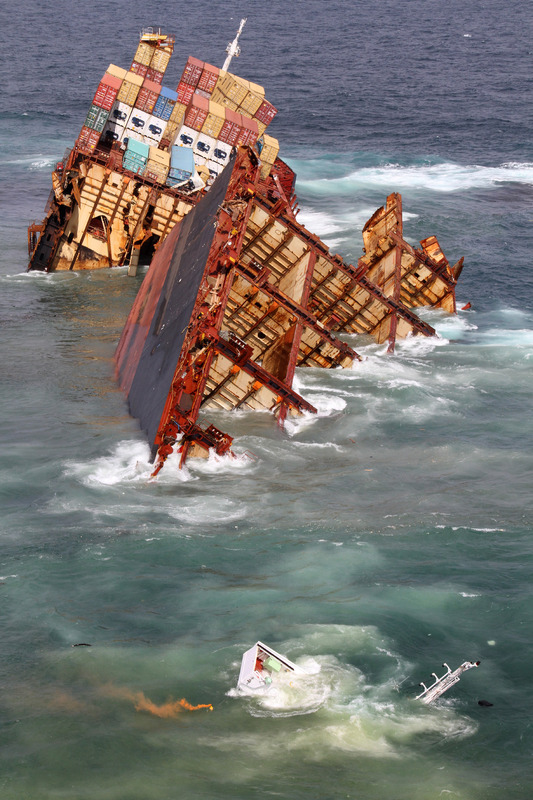 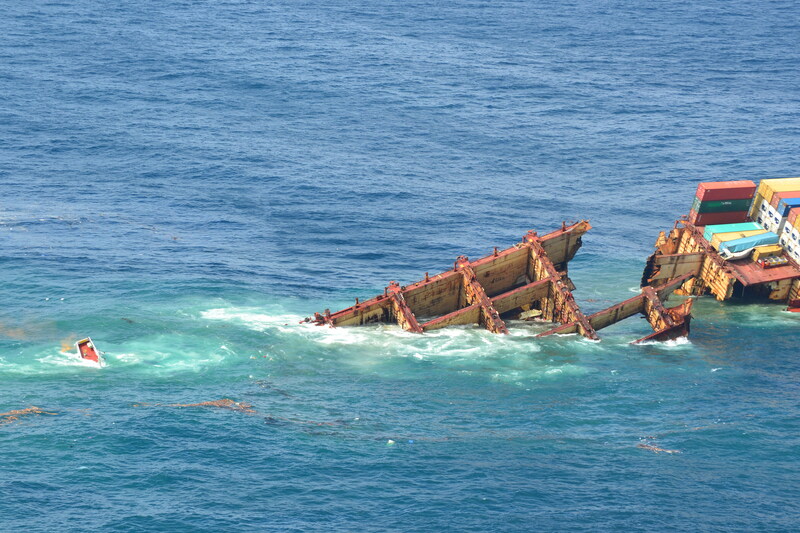 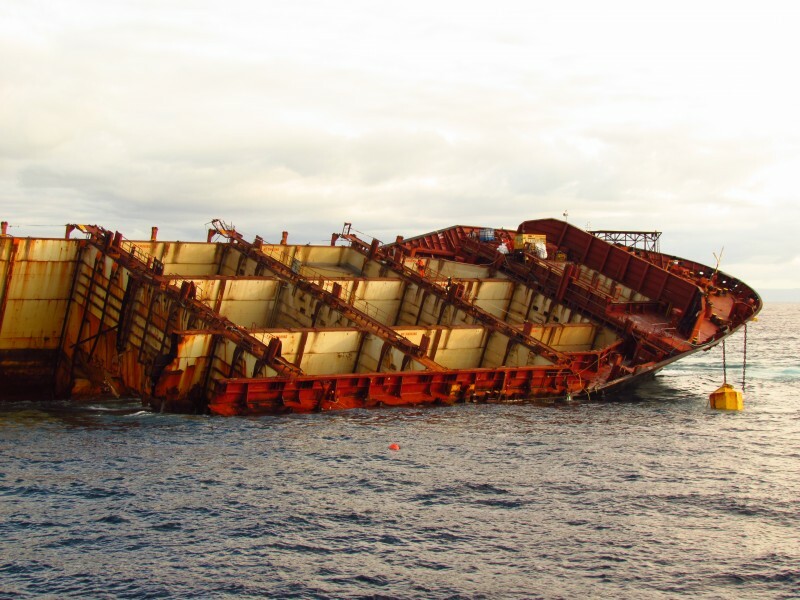 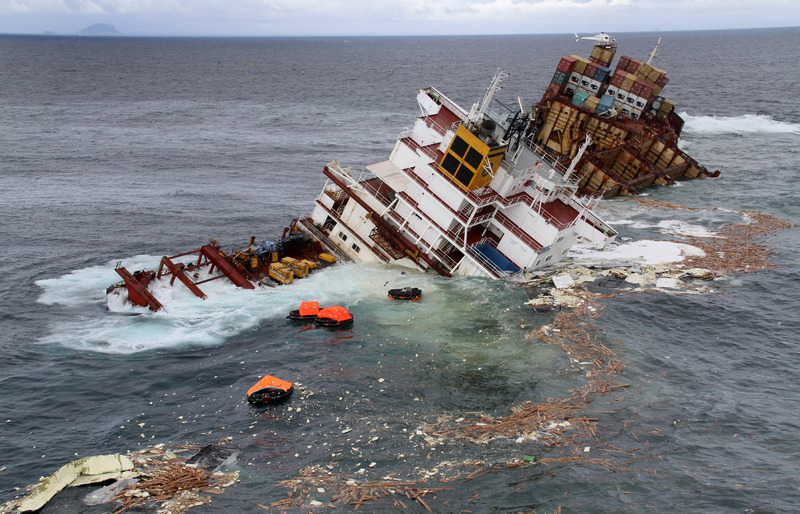 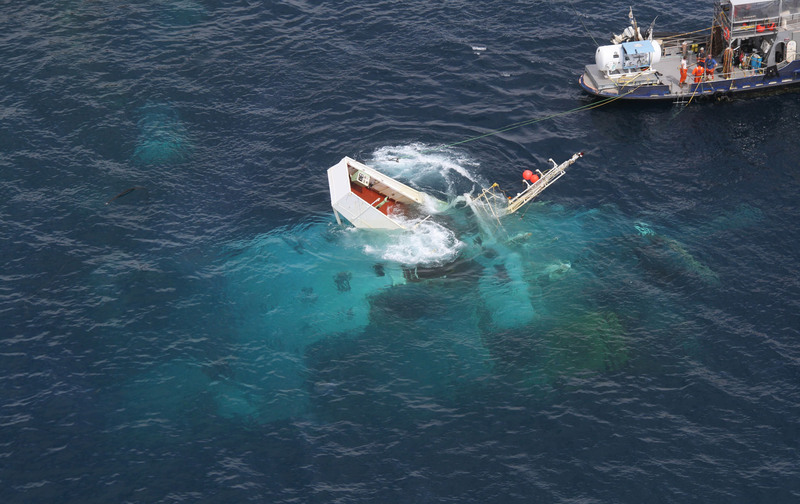 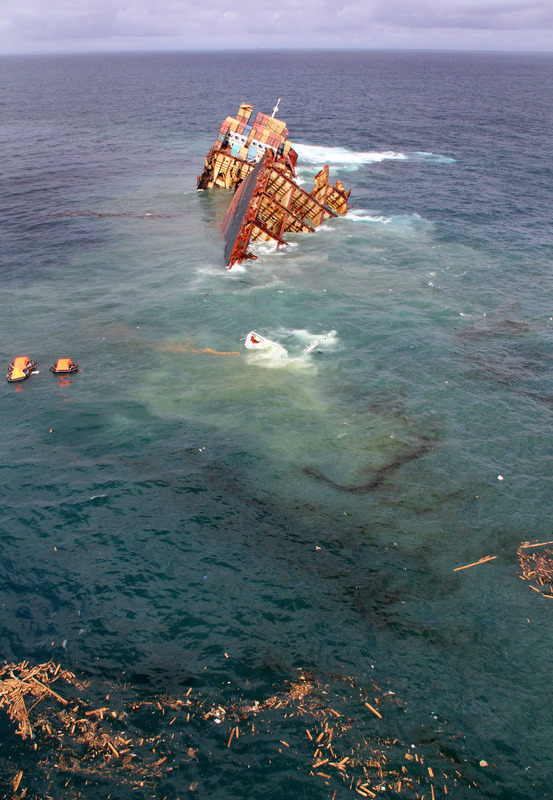 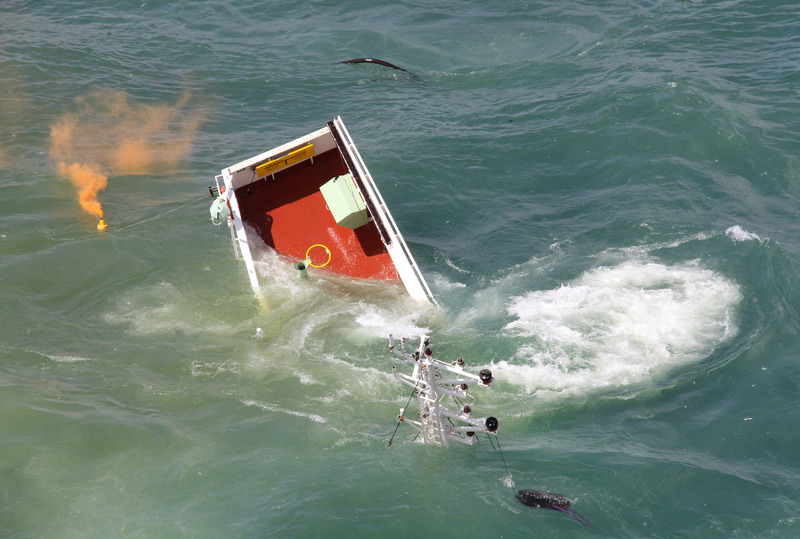 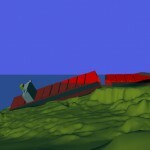 More photos released by Maritime New Zealand of the Rena’s stern sinking including 3D images of the stern’s current position on the reef. 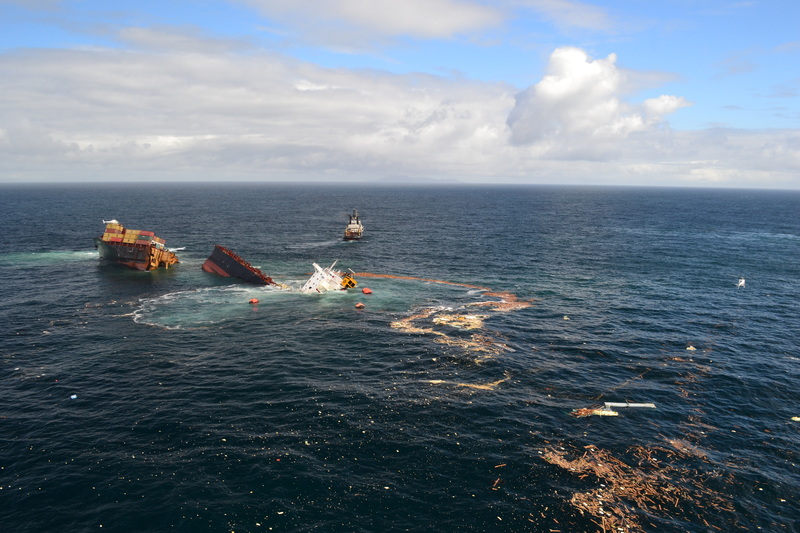 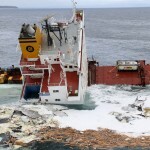 Reports state the tug Go Canopus did attempt to reposition the stern section of the Rena so that the barge Smit Borneo could maneuver closer when salvage would resumed. 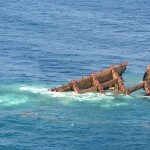 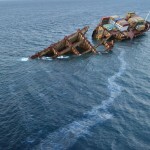 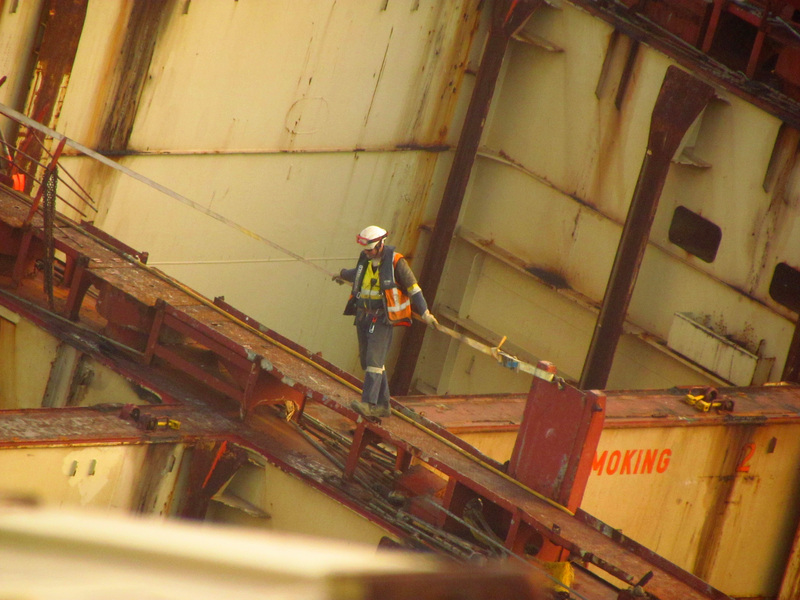 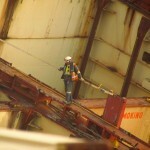 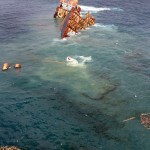 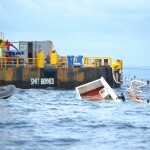 Divers will inspect the stern to verify if the barge can be position over the submerged section. 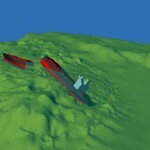 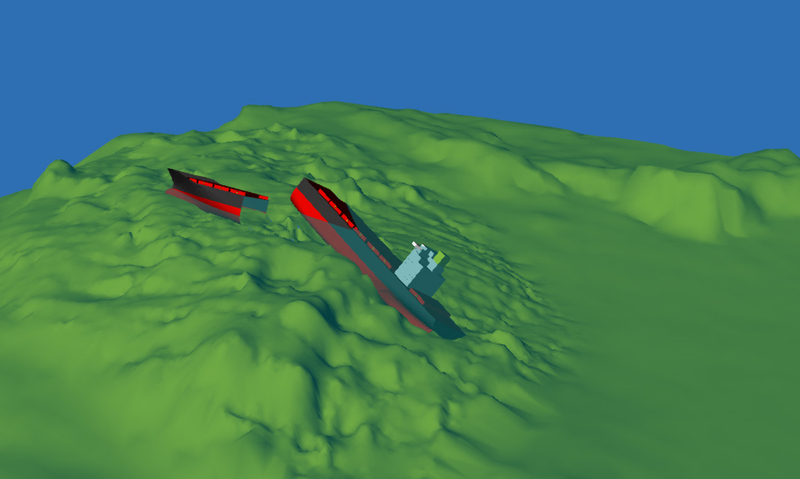 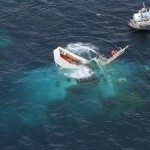 The stern took less than 30 minutes to sink. 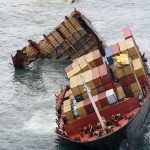 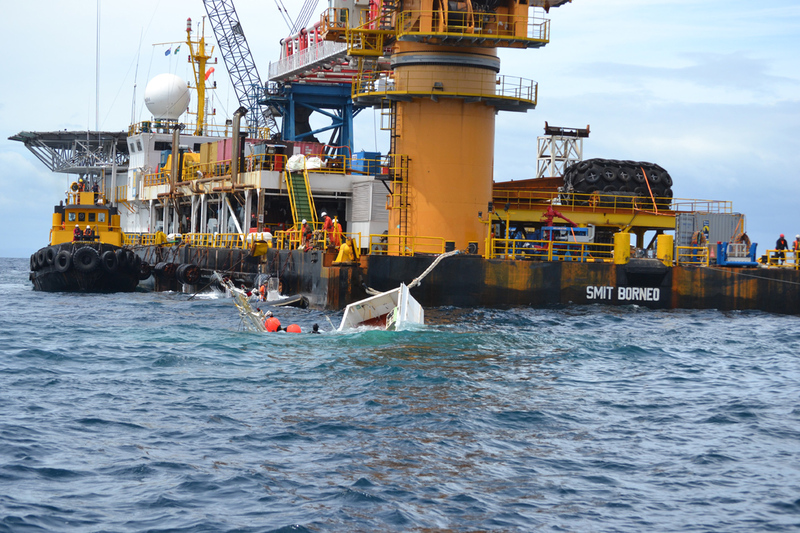 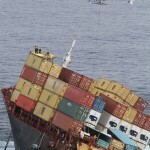 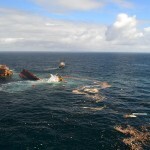 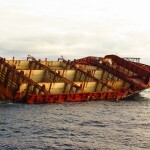 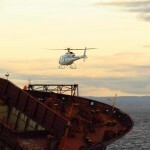 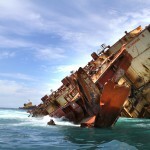 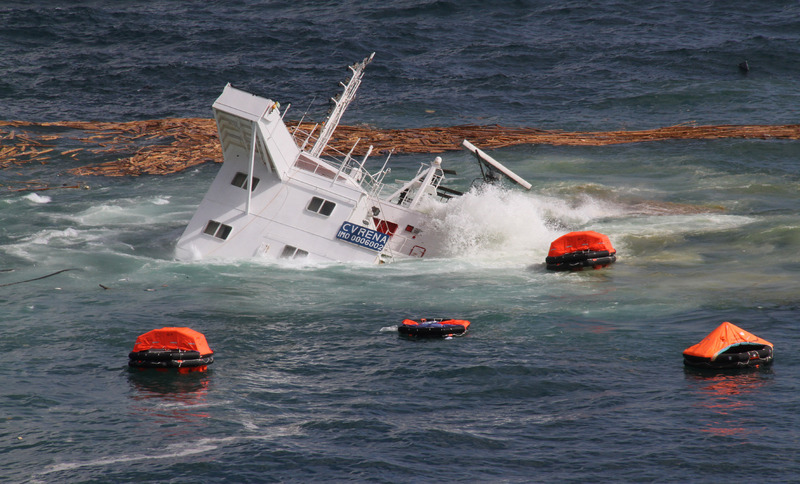 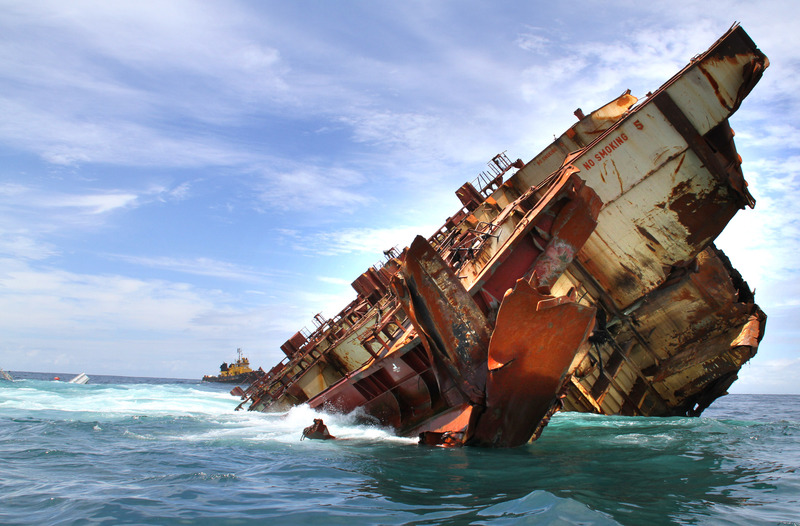 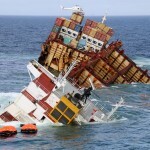 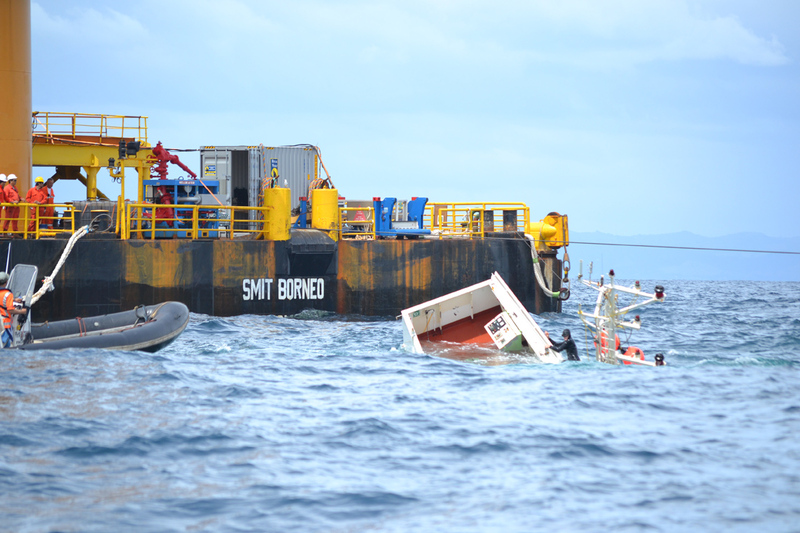 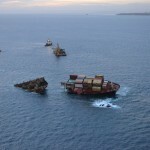 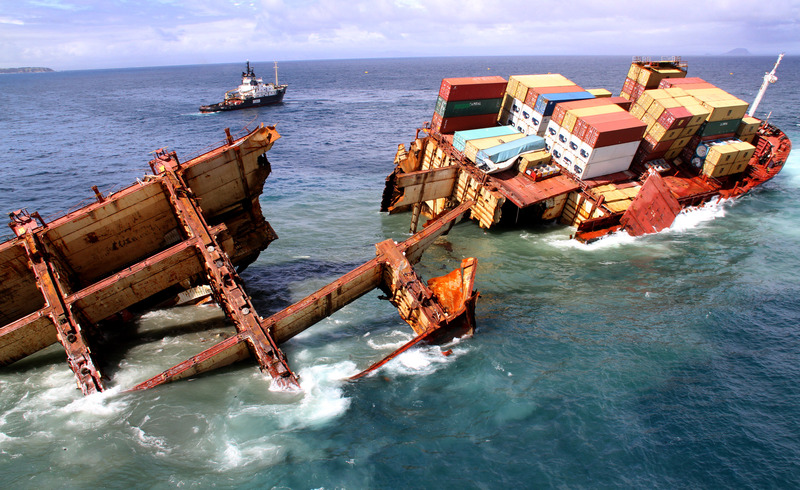 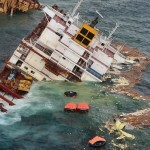 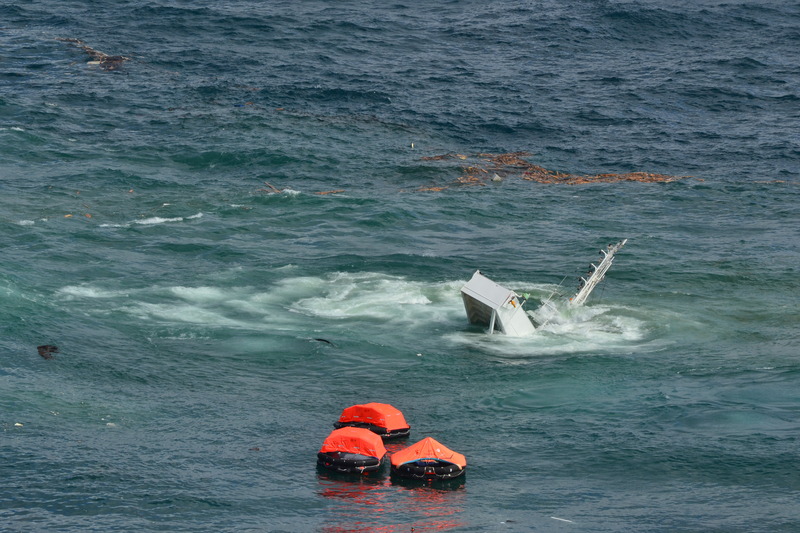 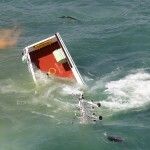 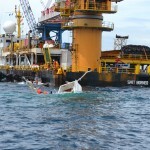 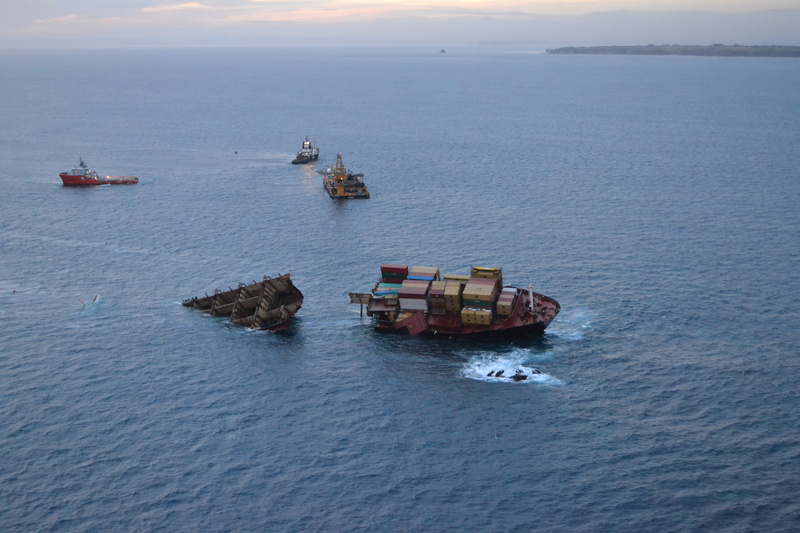 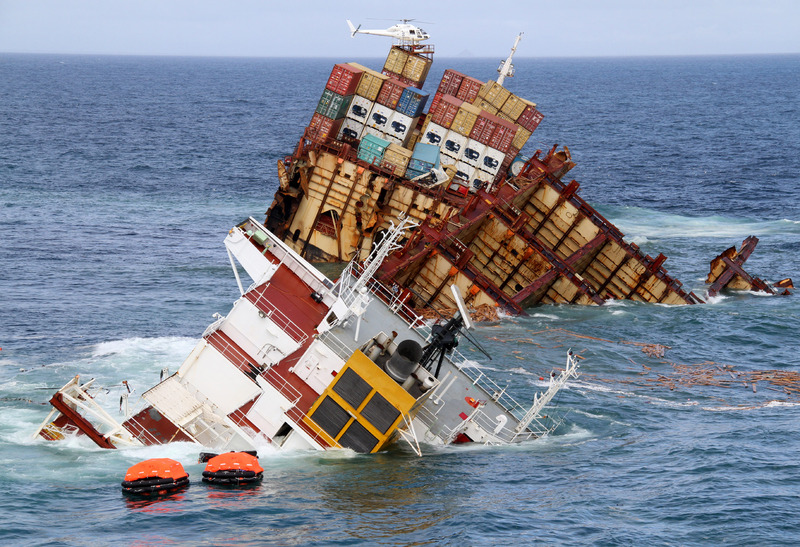 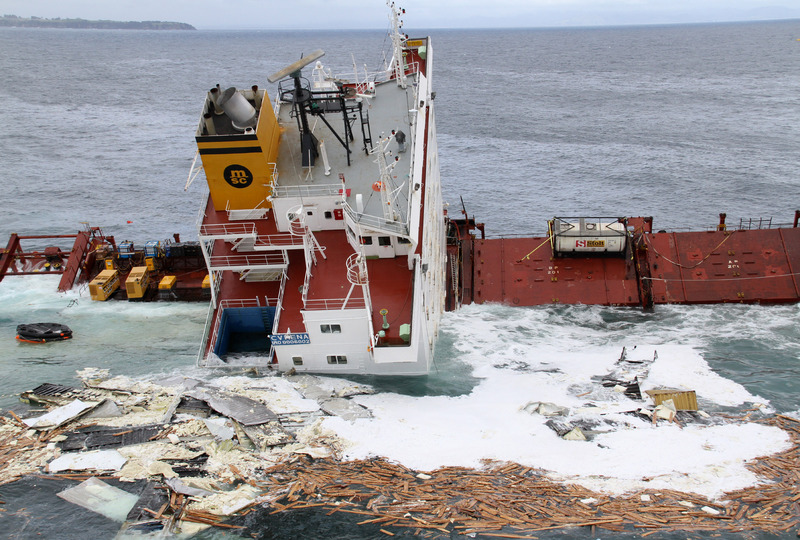 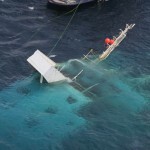 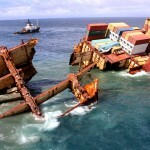 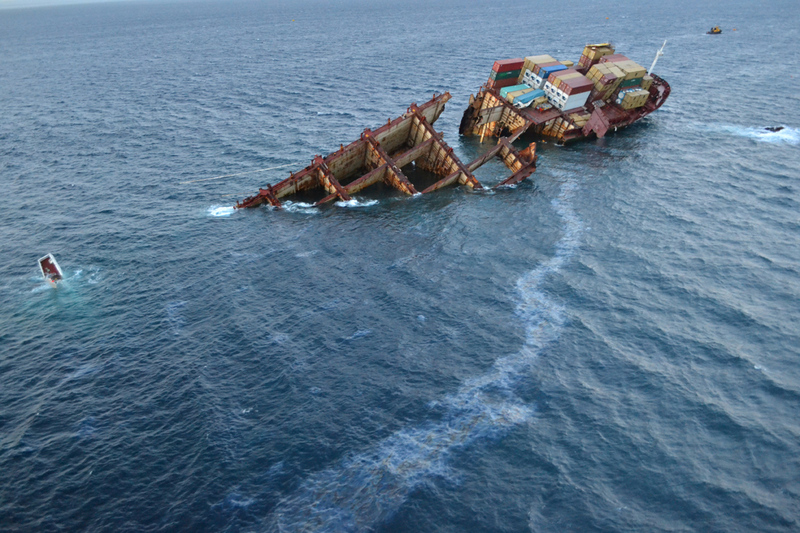 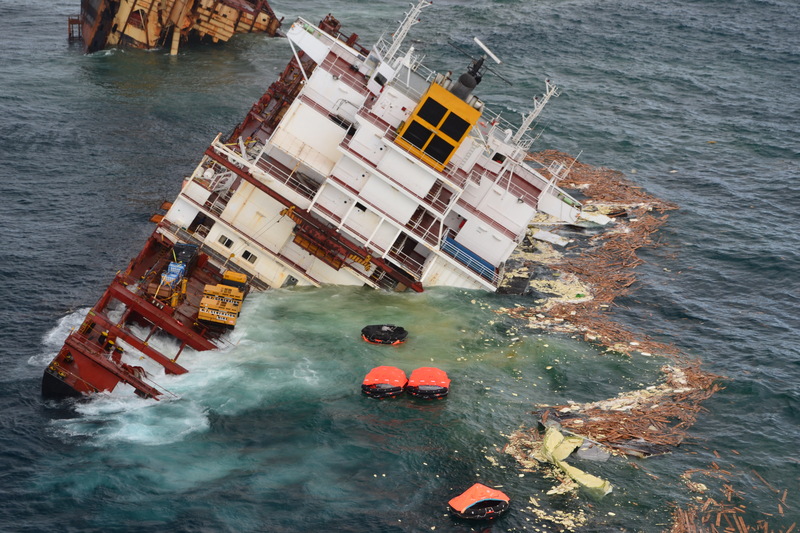 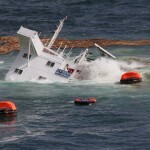 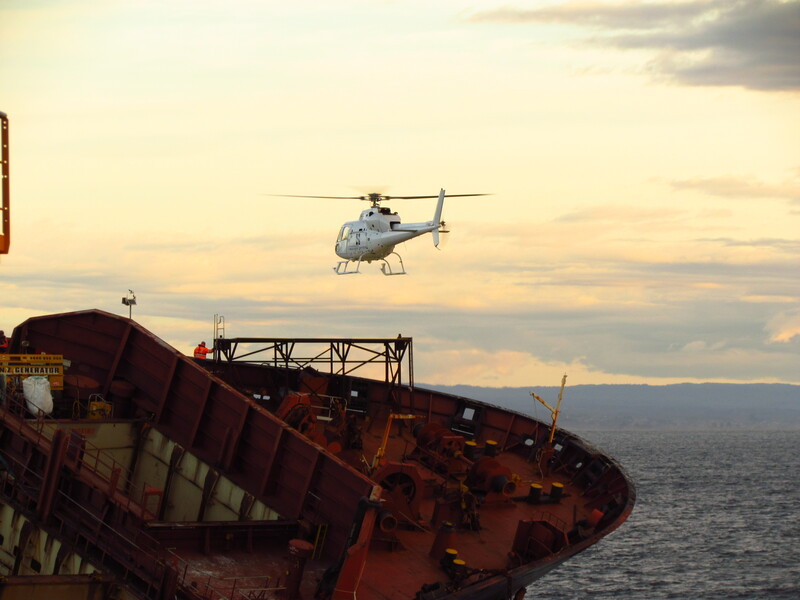 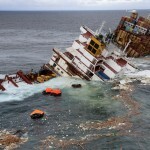 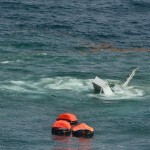 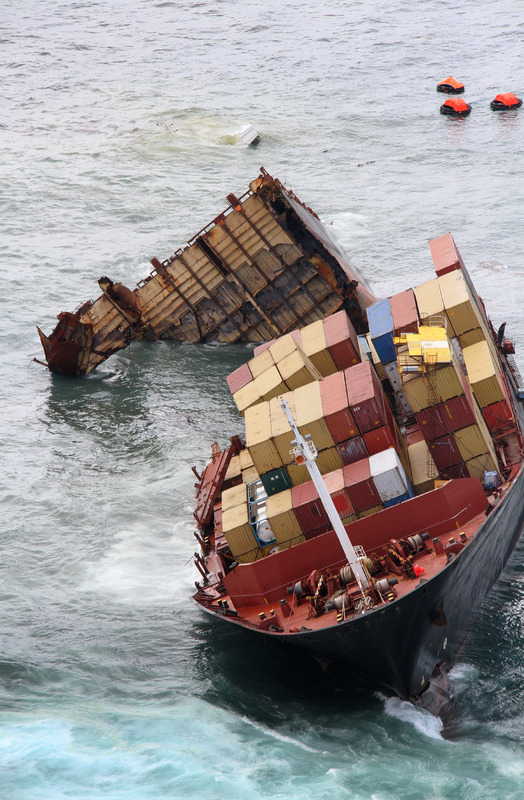 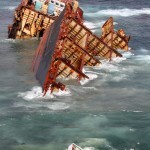 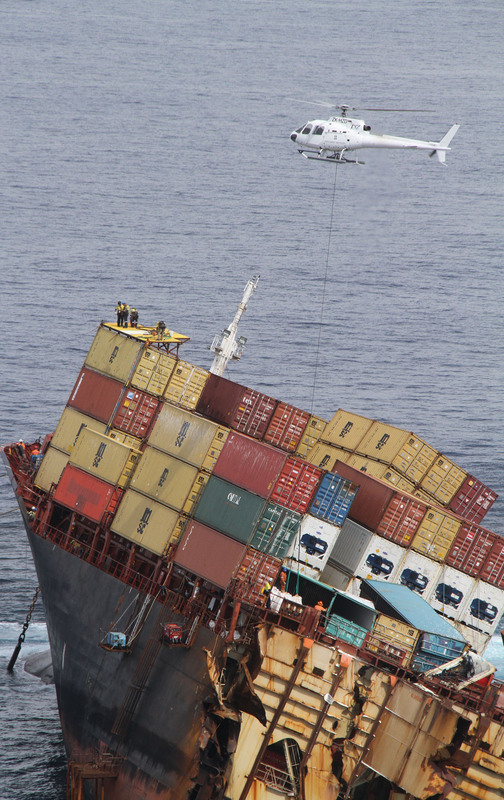 The total number of containers lost overboard is estimated near 250.